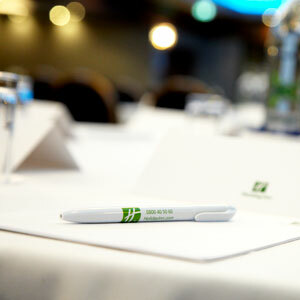 The Holiday Inn London – Wembley is perfectly located for events at the iconic Wembley Stadium and The SSE Arena. 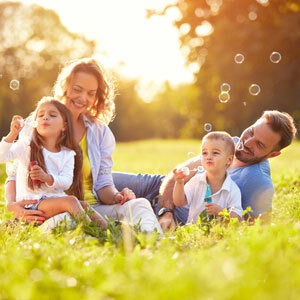 We are just 20 minutes from central London and 45 minutes to London Heathrow Airport. 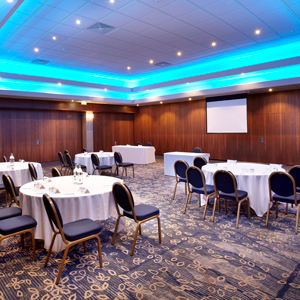 The Holiday Inn Wembley offers comfortable hotel accommodations for individuals, couples, and families visiting London for business and leisure. We offer spacious and well-appointed guest rooms including standard rooms, family rooms, accessible rooms, executive hotel rooms, and suites. I was really impressed and even surprised how great this hotel was. It is located next to Wembley and it is 5-7 minutes to walk from the subway station Wembley Park. Rooms are very clean, the bed was simply fantastic. The breakfast is far above traditional breakfasts in midrange price British hotels. I will definitely stay there again when I am going to be in London. We stayed 2 nights and enjoyed our stay. We were looking for decent hotel in London with pool and although a wee bit outside the center of London, the rail/tube links to Wembley makes this hotel easily accessible to central London (30 min train journey). We booked executive room (£134) which was large, with great view of Wembley stadium. Service from staff was very good with food and drink reasonable for London. Had a very relaxing spa experience. The Jacuzzi was invigorating. The steam room revitalizing and the pool was warm and inviting. Afternoon tea was delightful and the service throughout was great. Booked another session as it was so good! The welcome was friendly and helpful. Room on 3rd floor very clean and fresh. Twin beds as requested. Very comfortable. The temperature of room was constant with no stuffy feel. Great choice for breakfast. This is hotel is good value for money considering location. This hotel was absolutely great. The food and everything far exceeded my expectations. The room was very comfortable and very clean. The staff were extraordinarily professional and provided excellent service. They were very accommodating and made my stay a very pleasant and rewarding one. Handy for train station and bus routes, and it had all amenities that you could reasonably require. I liked the swimming pool and sauna. The room itself was good and I slept well that night. I would gladly stay again. Good value stopover with the city easily reached by the Metropolitan Line. Team here are always welcoming. Comfortable and clean room on the 9th floor and the air con much appreciated on a scorcher of a day outside. Wonderful hotel room, very good price, staff were lovely and friendly. Saying how busy it was after the summertime ball the staff were friendly and on hand to help. Would recommend to anyone who wants a place to stay visiting Wembley stadium. Stayed here for the game at the stadium which is right next to hotel. Beds comfy staff are friendly the breakfast is buffet all you can eat. Diana on reception was really polite and helpful. Would stay here again. The friendly, knowledgeable and helpful staff and a VERY comfortable bed makes this hotel an excellent choice every time, especially when you intend attending events at Wembley or shopping in the designer outlets. First would like to say how helpful and friendly Mario at the Reception desk was made checking in easy and welcoming. The room we were allocated was excellent wanted to take the bed home with me. Cleanliness was excellent and had everything you need for a one night stay. Here at Holiday Inn Wembley we take your privacy seriously and will only use your personal information to administer your account and to provide the products and services you have requested from us. However, from time to time we would like to contact you with details of other offers or services we provide. If you consent to us contacting you for this purpose please tick below to opt in. We will store the information supplied via the various contact forms across this website as part of our marketing plans. The data will be stored both on & offline and sometimes on a secure third party mail application system. This data will become part of our marketing and sales focus and from time to time we will contact you with offers or services we provide. This information will NOT be sold on or shared with any other 3rd parties outside of Holiday Inn Wembley. You have the right at anytime to request this information and also for your information to be removed from our databases. For further information on how your information is being used, how we maintain the security of your information and your rights to access please contact customer_privacy@splendidhospitality.co.uk.